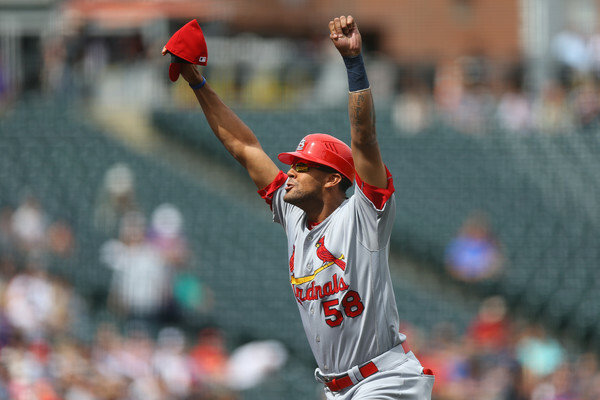 The St. Louis Cardinals announced today that they have signed outfielder José Martínez to a two-year contract (2019-20). Financial terms of the new deal were not disclosed. Martínez, 30, led the Cardinals in batting (.305) and hits (163) in 2018, finishing 7th among National League batting leaders. The right-handed hitting outfielder finished 2nd among the team’s RBI leaders in 2018, with 42 of those RBI coming with two outs, ranking 3rd in the Senior Circuit to Trevor Story (57) and Christian Yelich (52). Martínez, the son of the late former Major Leaguer Carlos Martínez, played in 887 games in the minors before making his Major League debut with the Cardinals in 2016. The Venezuela native owns a .408 career batting mark (20-for-49) as a pinch-hitter, ranking 2nd all-time in MLB history (min. 50 plate appearances) to Kevin Seitzer (.411).